Sure you could be a “good person” and subject yourself to your mother’s withering criticism, your aunt’s grotesque political rants, and your sad, childhood bedroom which has since been converted to your parents’ home gym which they use 4 times annually. OR! You could stay in town for the holidays and wiz down Sunset like you own the place. Here’s how to be the mayor of your city for one, glorious week. You won’t have to park across the street because the lot is full during the holidays. 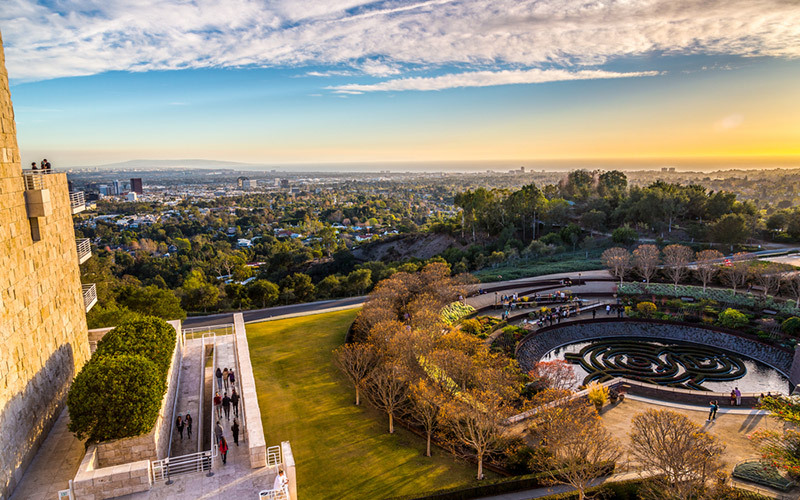 Park in the garage, ride the tram up the hill (almost our favorite part), and get some culture at one of the most breathtaking museums around. That line you see on Sunday when you are driving down Sunset? Not going to be there. Have your pancakes in peace. Hike any trail from easy-peasy Fern Dell (near Western) to the really steep ones whose names we don’t know but end up at the Observatory. You’ll have the place to yourself. Stop at the Café at the End of the Universe (newly re-opened after an update) for a coffee and the incredible view of L.A. Yes we know you aren’t a tourist and you’ve been able to get a super tasty hot dog here since 1939, but there were only four people in line the other day. FOUR. The hipsters have all gone home to their mamas’ houses to eat their granola for free. Go right up to the counter for your breakfast sandwich and toe-curlingly good espresso. And you’ll be able to find a seat in the wee place. No need to get run over by bicycles or jostled around in a throng of … really interesting … people. Take a leisurely stroll on the strand on the sand from Washington Blvd. to Shutters on the Beach. Don’t snicker. The last time we were at the TCF at The Grove, there was an hour and a half wait for a table. If everyone thought the restaurant was so uncool, it wouldn’t always be packed. Go now. Adam’s peanut butter cup fudge ripple cheesecake—ASAP. You may be so busy gawking at the pretty Art Deco building you may not even want to check out a book. Built in 1926 by Bertram Goodhue, it is listed in the National Register of Historic Places—the Children’s Department still looks like it did in the ‘20s. 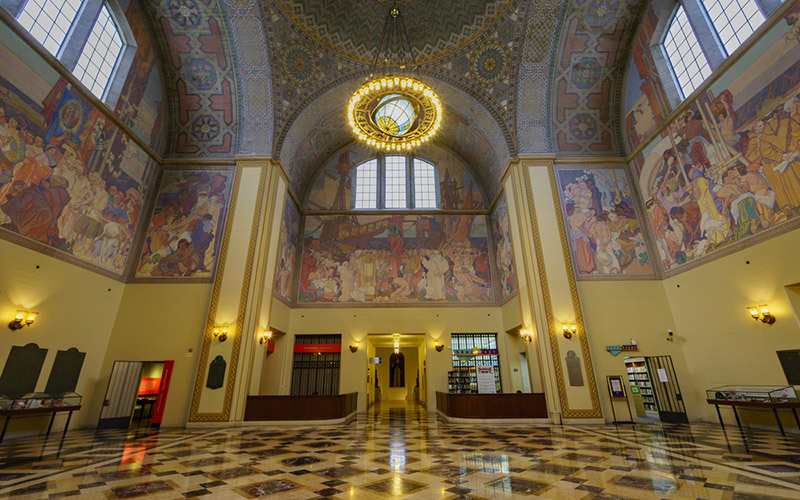 There are free daily docent tours. Want to take home some knowledge? Here’s how to get a library card. 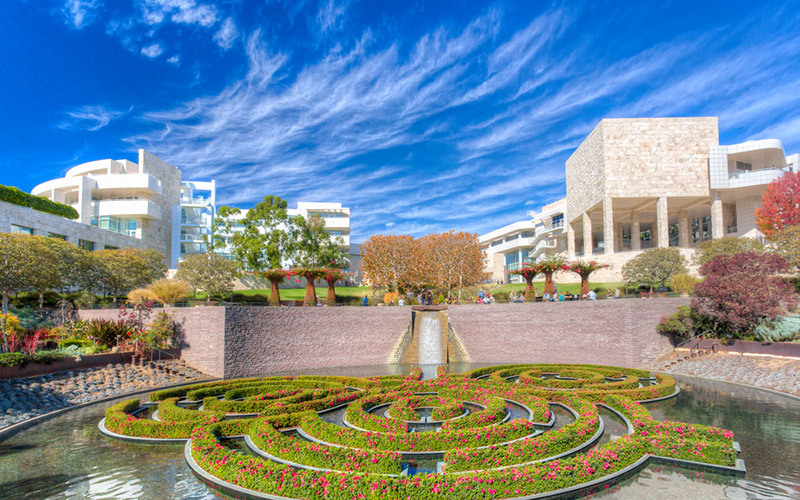 Admission is free at this museum with the gorgeous courtyard in Westwood. The third-floor galleries are temporary closed for renovation, so you’ll miss a Renoir or two, but it is still worth a visit. Hit the gift shop too—if you aren’t tired of shopping and have any cash left after the holidays. Okay, so you might actually want to spring for a drink, but the spectacular views of Long Beach are free. The bar is above the Sky Room Restaurant in the historic Breakers Building. Take the elevator to the Sky Room, instead of going into the restaurant, search for the hidden flight of stairs that lead to the bar. Open your eyes. The modern art museum in DTLA that looks like a white cheese grater (but a really cool one) and houses a fantastic collection of artwork is free every day (closed Mondays). Pop by for a standby ticket, which you can get on site. Wander the grounds of this private Meditation Sanctuary and Temple (founded by Paramahansa Yogananda) in the Palisades that is open to the public. The ten-acre site that includes everything from a Court of Religions to a Windmill Chapel has been open to all since 1950. This free ode to all things scientific houses the Space Shuttle Endeavour and much, much more. While you need a tix to see the Endeavour, the rest of the museum is gratis and you can wander through ecosystems and aquariums and interactive exhibits.